Dr. Fuxiang Zhang, MD is the Medical Director at Downriver Optimeyes Supervision Center-Taylor. Christina S. Kamma-Lorger obtained her PhD in corneal tissue engineering at Cardiff University, UK in 2007. Her PhD thesis focused on studying the healing of LASIK flaps and exploring possible ways of improving the recovery of the tissue post operatively. She continued her work in corneal studies using Small and Wide angle X-ray diffraction methods and electron microscopy in the structural Biophysics Group, Cardiff university on an MRC-UK funded post-doc. In 2012 she was appointed beamline scientist in BL11-SWEET beamline at ALBA synchrotron in Barcelona. Her research interests involve the study of corneal structure and function, bone regeneration and skin cancer. She has 29 peer reviewed publications in international journals. Dr. DeBroff specializes in cataract and IOL implant surgery. He has particular clinical and research interest in congenital, pediatric developmental, and traumatic cataracts, and multifocal IOL implants. He served as director of cataract and IOL implant surgery at the Department of Ophthalmology and Visual Science at the Yale University School of Medicine from 1999 – 2006 and is now an Associate Clinical Professor of Ophthalmology at Yale University. He is now Chief of Ophthalmology at Yale New Haven Hospital/Bridgeport and Chief of cataract/laser surgery at the West Haven Veterans Hospital. 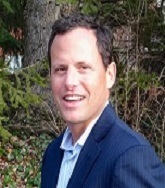 He is the managing partner at Eye Surgery Associates LLC in Stratford and New Haven, Connecticut. He received his B.S. and M.D. degrees from Tufts University where he was inducted into the Alpha Omega Alpha Honor Medical Society and received the Sandoz Award for academic excellence. Dr. Scott LaBorwit, is the President and Founder of Select Eye Care, is a graduate of the University of Maryland School of Medicine. After completing his ophthalmology residency at the Krieger Eye Institute of Sinai Hospital, Dr. LaBorwit completed a fellowship in glaucoma at the Wilmer Eye Institute of the Johns Hopkins University School of Medicine. Dr. LaBorwit has lectured nationally and has been published in major peer-reviewed journals, including Ophthalmology and American Journal of Ophthalmology. He has also been a contributing author for teaching textbooks on glaucoma and eye injury. As a Board Certified ophthalmologist, Dr. LaBorwit’s special areas of expertise include cataract, glaucoma, and LASIK surgery. He currently serves as Assistant Professor of Ophthalmology, Part-Time faculty, at the Wilmer Eye Institute of the Johns Hopkins University School of Medicine. Robert S. Stutman, OD, MBA, FAAO graduated from SUNY College of Optometry and completed a residency at the VA Medical Center in Baltimore and his MBA at Loyola College of Maryland. He currently serves as the Director of Optometric Comanagement at Select Eye Care in the Baltimore/Washington DC metro area. Dr. Stutman has contributed publications to peer-reviewed optometric journals and textbooks and has lectured to doctors of optometry nationally. He is the recipient of the Maryland Optometric Association’s Young Optometrist of the Year and Optometrist of the Year. He has served on the QEI Committee of the Maryland State Board of Examiners, and has also served as a past Legislative Chair as well as a Past-President of the Maryland Optometric Association. Founding member of the Brazilian Cornea and Eye Bank. Ophthalmology, cataract, cornea and external diseases, prevention of blindness. Choun-Ki Joo MD, PhD is a Prof. of department of Ophthalmology, College of Medicine, The Catholic University of Korea. He completed research fellowship (1992~1994) of cornea and external disease for 2 years at Washington University in USA after finishing residency training (1988) in Korea. Prof Joo has a reputation for his basic and clinical knowledge in the field of cornea/external disease and refractive surgery. He is a frequent invited lecturer at international meetings, and over the past five years has directed one of the most prestigious training programs for specialists in refractive surgery. 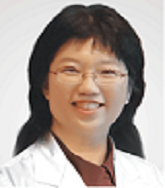 Prof Joo is the author of many articles in basic and clinical science. Prof Joo is the Director of Laboratory for Ophthalmology & Visual Science. Prof Joo has attracted much attention for his dedication to his patients and helping those in need. Chief of the refractive surgery department of ophthalmology clinic «Sokol». MD 1994 -2000 S. M. Kirov Military Medical Academy, Saint-Petersburg, Russia. Ophthalmologist with more than 12 years of career experience and over 6 000 laser surgeries performed. Practice includes extensive experience in different kinds of laser vision correction including LASIK, Femto LASIK, PRK, PTK ,laser treatment of glaucoma, secondary cataract etc. The observership with Dr. Allan Slomovic and Dr. David Rootman specializing in Cornea in the Department of Ophthalmology at Toronto Western Hospital and Toronto laser center, Canada(February 2016,Canada). My interests lie in refractive surgery, keratoconus treatment and corneal transplantation. refractive surgery, keratoconus treatment and corneal transplantation. Ioannis Pallikaris received his medical degree at the University of Thessaloniki, Greece (1972) and completed his residency and PhD thesis at the University of Zurich, Switzerland (1981). During these years, he also completed graduate studies at the University of Munich (Institute of Physiological Optic, 1978), at the University of Vienna (Ultrasound in Ophthalmology, 1979), and at the University of Zurich (Department of microvascular surgery, 1980). Subsequently, he received an honorary consultant position at the Hippocration Hospital of Thessaloniki, Greece (1981-1986), and became Director of the Ophthalmology Clinic Hospital of Chania, Greece (1986-1988). He became an Associate Professor of Ophthalmology at the School of Medicine, University of Crete in 1988 and has been a Professor of Ophthalmology at the University of Crete since 1996. Over the course of the years at the University of Crete, he became the founder and director of the Vardinoyannion Eye Institute of Crete (VEIC, 1989) and Institute of Vision and Optics (IVO, 2005), chairman of the Department of Ophthalmology at the University of Crete, and the director of the Eye Clinic of the University Hospital of Heraklion, Greece (1996-2004). Ioannis Pallikaris was the rector of the University of Crete from 2004 to 2011, while he is also a Board member of ESCRS from 2011.
refractive surgery, visual optics, medical lasers, biopolymers, retinal surgery and image analysis, and the design and development of microsurgical instrumentation. Dr. Uyar graduated from Hacettepe University Medical School in 1987 and completed his specialization in Ophthalmology at Istanbul Educational and Research Hospital in 1991 and worked there until 2012. His practice and experience is especially in surgical retina, medical retina, ocular trauma, cataract refractive surgery, lasers and medicolegal ophthalmology. In addition to his associate professorship, he has FEBO and FICO titles. He has been working at his own office since 1996 and at the Ophthalmology Clinic of Maltepe University since 2013. 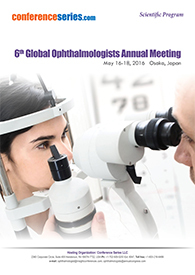 Dr. Uyar is member of both some national and international ophthalmological associations and societies. Dr. Pavel Kuchynka is the Chairman of Department of Ophthalmology, Medical Faculty of Charles University and of Institute for Postgradual Medical Education Prague from 1991 to ptresent. He completed his Ophthalmology Speciality Certification in 1982 from Medical School, Charles University. Now he is also the director of Medical Director of the International Eye Bank, Prague. Presently he is the president of Czech Society of Ophthalmology and Czech Society of Refractive and Cataract Surgery. He is also being the member of International societies and editorials boards like member of the International Committee of the "American Academy of Ophthalmology" - AAO, member of "European Society of Cataract and Refractive Surgeons" – ESCRS, member of the „International Intra-Ocular Implant Club. He is awarded as honorary council member of European Society of Ophthalmology. He is in Editorial member of Ocular Surgery News and Ophthalmology times. Dr. Fox was a Merit Scholar and an Honors graduate from Colgate University. He received his medical degree at Hahnemann Medical College where he was elected to the Alpha Omega Alpha Medical Honor Society. He is the Chief of Refractive Surgery at the Cornea and Refractive Surgery Practice of New York as well as Clarity/TLC Refractive Services in West Orange New Jersey, Dr. Fox cares for patients throughout the metropolitan area for the full spectrum of refractive procedures as well as those seeking care for cornea and external disease issues. With over 20 years of experience in the field, he is widely regarded as a national leader in corneal and refractive surgery. He has performed over 30,000 laser vision correction procedures over the last 15 years. Elisha Bartov M.D, Chairman of Department of Ophthalmology in the Edith Wolfson Medical Center and Associate Clinical professor in the Sackler Faculty of Medicine of the Tel Aviv University, Israel. . His residency and retina surgery fellowship were in the Sheba Medical Center in Tel Hashomer and he was for two years a Fulbright and Jules Stein Research and Clinical fellow at the Wilmer institute, Johns Hopkins University. He is a member of the Club Jules Gonin International Retina Association. He published 77 scientific papers on basic, clinical and surgical topics in Ophthalmology. Gail completed her PhD from the University of Melbourne, Center for Eye Research Australia. She has worked with international humanitarian programs for more than 25 years. Her recent experience was focused in Pakistan, Cambodia and Vietnam. She is interested in addressing issues of quality and the barriers associated with accessing eye health care to decrease the impact of avoidable blindness. M. Roy Wilson, M.D., M.S., was unanimously elected President of Wayne State University by the Board of Governors on June 5, 2013. He assumed the presidency on August 1, 2013.ChairPrior to joining Wayne State, Dr. Wilson served as deputy director for strategic scientific planning and program coordination at the National Institute on Minority Health and Health Disparities (NIMHD) of the National Institutes of Health (NIH). Dr. Satya Prakash Singh completed his postgraduation from M.L.N medical college Allahabad, currently he is Director and Professor Department of Ophthalmology R.I.O. Allahabad India and Principal M.L.N Medical college Allahabad. His name is endorsed in the prestigious “Limca book of records 2002” for performing maximum number of surgeries in a day. He has been awarded “Best Eye Surgeon” in state in the year 2005. He was also Editor- in chief - Journal SPOSI 2013-2014. He has 118 research papers in national and international journals and invited as a guest speaker in various national and International conferences. For over 20 years Mr Chitkara has established a reputation as one of the leading expert in Refractive or Corrective Eye surgery in UK and Internationally. Graduate of Manchester University Medical School in 1983 – MBChB with Honours in Physiology and Biochemistry Trained as an Eye surgeon in Manchester and North East England passing his specialist post-graduate exams and became a fellow of the Royal College of Ophthalmologist (FRCOphth) in 1993. He developed a passion for corrective (refractive) eye surgery during his specialist training in Cornea and Refractive Surgery in USA. The fellowship was completed with distinction under Professor Marguerite McDonald in New Orleans in 1995. Prof McDonald is the first person in the world to perform Laser eye surgery and a world renowned authority in Corneal and Laser Eye surgery. Dr.Milan IZÁK is the former Head II of eye clinics Slovak Medical University Hospital FD Roosevelt in Banska Bystrica. 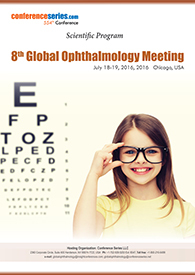 He is an internationally recognized authority in the field of ophthalmology. He is the member of many prestigious international medical organizations. He is the member of the editorial boards of several international peer-reviewed scientific journals. He is the pioneer and inventor of many new diagnostic and therapeutic, in particular microsurgical techniques in Slovakia and Czechoslovakia. Optician, University of Buenos Aires, Argentina. Specialist in Contact Lenses. Specialist and manufacturer of ocular prosthesis. Scientific adviser for ocular prosthesis in APO (Asociación Profesional de Optómetras in Argentina). Precursor and creator of multiperforated orbital implant, JUMAT. Precursor and creator of expander orbit asmotic hydrogel filling for microophthalmia. Director of CEPROC. Director of Ocular Prosthesis Division in Perfect Vision, Santiago, Chile. Developer of one-hour customized ocular prosthesis method, unique in Latinamerica. Precursor and creator of the first prosthetic scleral lens. Dr. Ticho Uriel is the Emmeritus asc.proffesor of Ophthalmology. He is the Head of glaucoma service at Hadasssah for 30 years. He is also the Chairman of International Glaucoma Conferences in Jerusalem. His research interests includes the use of anti-metabolites in glaucoma surgery, Glaucoma: laser applications in glaucoma anti- glaucoma drugs; glaucoma detection and prevention Automatic visual field studies to evaluate blue stimuli, threshold modulation and other parameters. Master Luis Carlos Fliguer is perhaps one of the most prominent in the world eye care. His contributions to the Latin American contactology are invaluable. He has always been at the forefront of new technologies in materials and designs in parameters and their professional opinion always was reference in lot of research. His research interest involves Dyslexia - phoria in vision- Syndrome computerized vision - Vision behavioral. He is experienced eye-care business professional into Optical / Ophthalmology and Optometry industry channels in Latin America with twenty-six years of clinical, academic and business experience. Asociación para Evitar la Ceguera en Mexico. Dr. Hugo Quiroz-Mercado is a Former Director of Ophthalmology Service at Denver Health Medical Center. He was also Professor of ophthalmology at University of Colorado, School of Medicine ophthalmologist specializing in diabetic retinopathy and retinopathy prematurity as, and his current position is as Research Director at Asociación para Evitar la Ceguera en Mexico. Dr. Mercado completed his medical degree at Faculty of Medicine Universidad Nacional Autonoma de Mexico, and completed his postgraduate residency at Luis Sanchez Hospital for the Prevention of Blindness in Mexico City. Dr. Mercado then furthered did a fellowships in Vitreo-Retinal Diseases at APEC in Mexico City and Schepens Eye Research Institute in Boston. With over 25 years of practice experience, Dr. Mercado has held previous appointments as the Chief of Retina Service and Chief of the Experimental Surgery Laboratory at the Prevention of Blindness, Luis Sanchez Hospital, as well as a professor of Ophthalmology at the Faculty of Medicine Universidad Autonoma de Mexico. He specializes in treating patients with retina diseases. 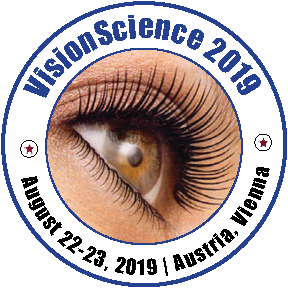 He is the PROFESSOR at Universidad Nacional de Rosario (National University of Rosario), School of Medicine, Ophthalmology College and PROFESSOR at Universidad Abierta Interamericana, School of Medicine, Ophthalmology College. He has also been the EX-PRESIDENT of the Ophthalmology Society of Rosario. He is the Member of CONEAU: National Committee for the Evaluation of University Quality. Member of the Course Board in the XXIII PAN-AMERICAN CONGRESS OF OPHTHALMOLOGY. PERMANENT MEMBER OF THE ARGENTINE COUNCIL OF OPHTALMOLOGY. He is also considered as CONSIDERED AS ONE OF THE BEST VITRORETINAL SURGERY SERVICES IN THE COUNTRY He has been awarded as "DISTINGUISHED PHYSICIAN FROM ROSARIO", awarded by the Honorable City Council of Rosario. Decree N° 25132 Rosario, February 17th 2005 and many more. Dr. Paul Lee serves as F. Bruce Fralick Professor and Chair in the Department of Ophthalmology at the University of Michigan Medical School and Director of the W.K. Kellogg Eye Center.Dr. Lee has published over 250 papers on glaucoma and eye care delivery in general, particularly on understanding and improving eye and health care. 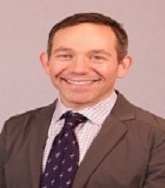 He has been principal investigator on research projects to evaluate the appropriateness of cataract surgery, the quality of glaucoma and diabetic retinopathy care, utilization patterns of eye care, provider workforce analyses for ophthalmology and orthopedics, and analyses of failure patterns for the treatment of diabetes related eye disease and glaucoma. r. Lee has served in several leadership capacities, including as the chair of the ARVO Foundation, an at-large member of the Board of Trustees of the American Academy of Ophthalmology (AAO), chair of the American Glaucoma Society’s Quality of Care Subcommittee, and original co-chair of the AMA-AAO Consortium Task Force for Eye Care Quality Indicators (PQRI). He has received the Lew Wasserman Merit Award from Research to Prevent Blindness, the Alcon Institute Research Award, the Senior Achievement Award from the AAO, the Gold Fellow from ARVO, and has been inducted into Academia Ophthalmologica Internationalis. He has also delivered the American Glaucoma Society Lecture, the Parker-Heath Lecture of the AMA section of ophthalmology, and the Shaffer Lecture at the American Academy of Ophthalmology, as well as numerous lectureships around the world. Leonardo Fernández Irigaray is a Professor of Medicine and the head of strabismus Eye Clinique Dr Nano - Buenos Aires - Argentina Republic. He is the President of the Argentine Center of Strabismus and Latin American Council of Strabismus. Leonardo Fernandez Irigaray also served as the member of reputed ophthalmology associations and societies. He was recently nominated by the International Medical IOCIM Côme best professional specialty within it. You will receive the highest institutional distinction Health "prix à l'PAR MEDICAL POUR UNE VIE MEILLEURE achievement" Tribute savait played travail for life to help improve the human eats professional recognizing the best of health 2014-2015. Dr. Ritch completed his M.D. at the Albert Einstein School of Medicine in 1972. He is the Shelley and Steven Einhorn Distinguished Chair in Ophthalmology and Chief of Glaucoma Services and Surgeon Director Emeritus at the New York Eye and Ear Infirmary of Mount Sinai. He has co-authored or edited nine textbooks and over 1700 medical and scientific papers, book chapters, articles and abstracts. He has presented 700 lectures worldwide, including 45 named lectures and has received 58 awards and medals. Harminder S Dua, MBBS, DO (Lond), DO, MS, MNAMS, FRCS, FRCOphth., FEBO, FRCP(Ed), MD, Phd; has been the chair and professor of Ophthalmology at the University of Nottingham since 1994. He is the immediate past President of the Royal College of Ophthalmologists UK and was Editor of the British Journal of Ophthalmology for 7 years. He is currently Editor-in-chief of a new journal called Journal of EuCornea. He has over 300 peer reviewed publications and scores of awards for research and teaching including the recent Times Higher Education Award (2014) for \'Research project of the year\'. Cathleen McCabe, MD is one of the foremost eye surgeons practicing today and is a vital asset to The Eye Associates' team, seeing patients in Sarasota, Bradenton and Ellenton, Florida. After Dr. McCabe received her medical degree from the Medical College of Wisconsin, she went on to her residency training at the prestigious Bascom Palmer Eye Institute of the University of Miami’s School of Medicine. Dr. McCabe specializes in bladeless laser cataract surgery, clear lens replacement, LASIK and anterior segment diseases. Cathleen McCabe has received many prestigious and esteemed awards for her work in Ophthalmology, including being named a Castle Connolly Top Doctor for Ophthalmology and to the Premier Surgeon 250 List of the leading innovators in premium IOL cataract surgery, and was selected as a LaserVision Top 100 Surgeon for her vast experience and excellent outcomes in LASIK and refractive surgery. Dr. McCabe’s other achievements and awards include being named an Outstanding Female Leader in Ophthalmology by Millenial EYE magazine, the recipient of the American Academy of Ophthalmology (AAO) Achievement Award, and she was one of only four surgeons invited to perform LIVE cataract surgery at Texas Eye and Surgery Center in Hurst, Texas, which was telecast in real time to 1000 MDs attending the Alcon event from all over the world. Dr. McCabe’s ongoing commitment to continuing her education earned her the Physician’s Recognition Award (PRA), presented by the American Medical Association, and she has also been honored with the Lifelong Education for the Ophthalmologist (LEO) Continuing Education Recognition Award by the American Academy of Ophthalmology. Dr. McCabe was granted membership into the American College of Eye Surgeons (ACES) because of her commitment to excellence in eye surgery. She has also successfully fulfilled the requirements for Maintenance of Certification (MOC) to be recertified as a Diplomate of the American Board of Ophthalmology. Cathleen McCabe is a Board member of the Outpatient Ophthalmic Surgery Society, the Vice Chairman and a member of the Practicing Ophthalmologists Curriculum Panel (POCP)- Cataract and Anterior Segment Panel and a Board Member of the Outpatient Ophthalmic Surgery Society. Dr. McCabe also serves on the Editorial Board for Ophthalmic ASC, EyeNet, and Cataract and Refractive Surgery Today publications. Additionally she continues to share her expertise by publishing articles and book chapters, lecturing at ophthalmological and optometric seminars all over the country, and participating in residency training programs. Felipe Soria studied Medicine in the Adventist University in Argentina and did his specialty in Ophthalmology in the Vision Institute of Montemorelos University in Mexico. He made the subspecialties of Cornea, Refractive and Cataract surgery in Vissum Corporation with Dr. Jorge Alio for a period of two years. He has written more than 30 scientific articles and book chapters, being Editor of the book Femtosecond Laser Assisted Keratoplasty. He has participated with 40 communications in different international congress across the world. He owns the patent: Use of Mesothelial cells in Tissue Bioengineering and Artificial Tissues. 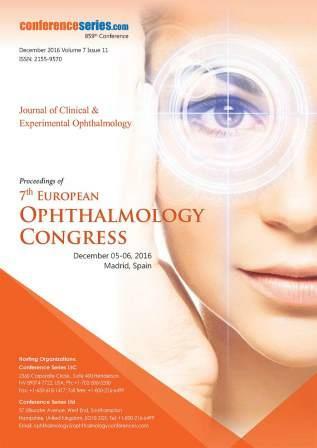 Cristian Falcon is the Director of Optima Laser Clinic, Valencia, Spain and member of reputed ophthalmology societies. He is an Ophthalmology surgeon specialist in Refractive surgery: LASIK, SBK, Intraocular lenses and phacoemulsificaion. He is having an extensive experience in LASIK, SBK and LASIK(SBK) for Presbyopia & performed 12,000 procedure over this years of practice. He has published his research papers in various reputed journals and he is been invited in many scientific conferences around the world as a speaker. George Beiko is a medical graduate of Oxford University and completed his ophthalmology specialty training at Queens University in Canada. He is an Assistant Clinical Professor at McMaster University and a Lecturer at the University of Toronto. Dr. Beiko has published numerous peer-reviewed articles and also authored twelve book chapters. He has given over 500 scientific presentations at meetings throughout the world. He has been awarded 3 best papers of session at the ASCRS annual meeting, one best poster award at AAO, one Best Paper of Session (Cataract) at APAO-AAO Joint Meeting and the Best Original Paper in Cataract Surgery at AAO in 2010. He is on the review panel or editorial board of 25 ophthalmology journals. His honours include being elected to membership in the International Intraocular Implant Club, being named one of the “Premier Surgeons” of North America and being made an Officer of the Most Venerable Order of the Hospital of St. John of Jerusalem, by Her Majesty The Queen of England. He has been honoured on 3 occasions with the Gold Medal by the Indian Society of Cataract and Refractive Surgery, a Senior Achievement award by the American Academy of Ophthalmology, an Achievement Award by the Asia Pacific Academy of Ophthalmology, the Presidential Award of the International Society of Refractive Surgery and the Boberg-Ans Award of the Danish Ophthalmological Society. Supriyo Chatterjee is an educator and a practitioner in Optometry since 1990. He completed his Bachelor’s degree in Human Physiology from Calcutta University and thereafter completed his 4 year PG Diplomas in Optometry and Contact Lens Practice from Indian Optical Institute& Refraction Hospital (Estd.1932), the pioneer Institute of Optometry in India, Calcutta. He went to USA for advanced studies and clinical internship in California under Optometric Extension Program Foundation and State University of New York – College of Optometry, in the areas of Binocular Vision, Pediatric Optometry and Behavioral Optometry. He was an Associate of College of Optometrists in Vision Development of USA and Clinical Associate of Optometric Extension Program Foundation, California. 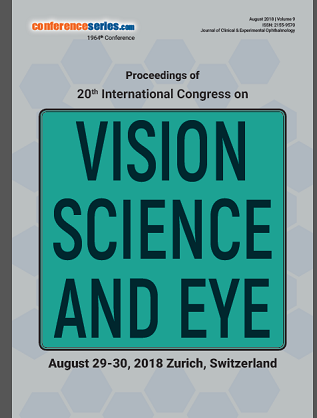 He has presented many papers in home on Behavioral Optometry, Sports Vision, Myopia, Near point Vision Stress, Non Strabismic Binocular Dysfunction and Vision Therapy. He was awarded Bausch & Lomb Certificate of Excellence in Contact Lens Practice as well as Silklens India Award for Outstanding Contribution to Optometry Education in Eastern India. He also represented India, particularly his Alma Mater in 4th World Council of Optometry Educators’ Meet in Atlanta, Georgia in 2002, as the Director of Academic Affairs of the AII India Institute of Optometrical Sciences (AIIOS). He was selected by ORBIS International, Ethiopia to serve as an Assistant Professor of Optometry, Department of Ophthalmology, College of Medicine & Health Sciences, University of Gondar, Ethiopia in 2008. His areas of interest are: General & Pediatric Optometry, Infant Vision Development, Non-Strabismic Binocular Dysfunctions, Myopia, Computer Vision Syndrome, Sports Vision, Ocular Pathology & Therapeutics, Vision Therapy and Neuro-Optometry. Chris (tiane) Lange-Küttner obtained her Ph.D. at the Max Planck Institute of Human Development, Berlin, and worked thereafter as a post-doc in Cognitive Science at the Free University of Berlin. Since 1994, she holds an academic faculty position in the UK, initially at the University of Aberdeen, and up to now at the London Metropolitan University. From 2009-2011 she was Professor of Developmental Psychology at the University of Konstanz, Germany. She is also affiliated faculty at the University of Bremen, Germany. Henry Klassen completed his MD and PhD degrees at the University of Pittsburgh and residency at Yale Eye Center and fellowship at Moorfields Eye Hospital/Institute of Ophthalmology in London. He is associate professor of ophthalmology and director of the Stem Cell & Retinal Regeneration Program at the University of California, Irvine. He is also founder of jCyte, a startup company formed to commercialize retinal progenitor cell-based technology for use in retinal conditions. Professor Svetlana Anisimova, graduated from the Moscow Medico-Stomatological University in 1980. From 1980 till 1995 worked as ophthalmosurgeon in glaucoma and cataract departments in the Moscow Institute of Eye Microsurgery with professor Fyodorov, professor Kozlov. Her topic in the research work – “Non-Penetrating Deep Sclerectomy with collagen device”. In 1993, 1996 demonstrate Non-penetrating technique in the Glaucoma Institute in Paris. Since 1995 till our days - General Director of private Eye Center “Vostok-Prozrenie” in Moscow. In 2006 received Ph D degree - topic of the work “New approaches to surgical treatment of glaucoma and cataract in the outpatient clinic”. 2006-2014 worked as associated professor in Postgraduated Medical Institute in the ophthalmological department. Have 93 articles, Book, 5 patents. PD Dr med is a glaucoma specialist who completed her specialization with Prof Josef Flammer, former head of the department of ophthalmology at the University of Basel. Dr Mozaffarieh currently teaches at the University of Basel and works clinically at the Augenglattzentrum in Zurich. 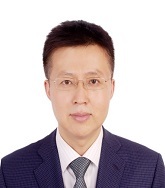 Prof. Jing Hong is the associated director of Department of Ophthalmology, Peking University Third Hospital. She is currently a member of Asia Dry Eye Society and Chinese Ophthalmological Society, and a leading export on ocular suface and corneal endothelial diseases in China. She has published more than 100 papers in reputed journals. Hae Min Kang earned her MD at the age of 25 from Yonsei University College of Medicine where she also pursued postdoctoral studies. After completion of retinal fellowships, she is now an associate professor at Catholic Kwandong University College of Medicine with position of the head of Retinal department in International St.Mary’s Hospital. She has published more than 20 papers in reputed SCI journals, and she has been serving as an editorial board member and the expert reviewer board of repute. Her research interest lies on various retinal diseases including age-related macular degeneration, diabetic retinopathy, and uveitis. Recently she focuses on various changes in the choroid by using enhanced depth imaging optical coherence tomography. Retinal diseases including age-related macular degeneration, diabetic retinopathy, and uveitis. Dr Gyanendra Lamichhane is practicing ophthalmology since 8 years.He has completed his MD from nepal in 2009 in first class first position with Gold Medal.He has completed ICO fellowship in Retina from Gunma university japan and Phaco training from tottori university Japan.Till now he has done more than 20,000 sight saving surgeries .He is associate professor of opthalmology.He has already been director of one of the charitable hospital in Nepal. He has conducted more than 20 free Diabetic Retinopathy Screening camps .He has more than 8 papers published in national and international journals.He is life member of Nepal Ophthalmic society,All India Ophthalmic Society,Macular Society UK and Macular Disease foundation Australia. Baswati Prasanth, Specialist Ophthalmology has 10 years of vast experiences from various hospitals in India and other countries, completed her MS Ophthalmology from Armed Forces Medical College, Pune and Fellowship in Glaucoma and Anterior segment from Dr Shroffs Eye Hospital, New Delhi. She is the winner of A D Patwardhan Gold medal from university of Pune. She is the Head of the department of Ophthalmology, Ahalia hospital, Abudhabi. She has published more than 15 papers in reputed journals and has been part of several clinical trials.She is a member of the editorial board of OMICS Publishing group. Dr. J. F. Thomas completed his Ph.D. from the Manipal University, India. He was awarded the Late Dr. T.M. A. Pai Fellowship to pursue his PhD. He holds other postgraduate degrees in Hospital and Health Systems Management, Philosophy, and a second degree in Medical Record Science. He is the Dean of the College of Health Sciences, University of Buraimi in Oman. He is a PhD Thesis Adjudicator and Masters Thesis Guide. He is an External Reviewer for the Oman Academic Accreditation Authority. His publications include 5 textbooks for Distance Education Programs. His invention of a Low Cost IV Trainer is under Patent consideration. Sreekumari Pushpoth graduated from Medical College, Kottayam, India and earned Masters in Ophthalmology (M.S.) from Manipal University, India. She completed further specialist ophthalmic training in the United Kingdom and attained FRCOphth from the Royal College of Ophthalmologists, London. Having completed her fellowship in Medical Retina from Moorfields Eye Hospital, London, she is working as a consultant ophthalmic surgeon at James Cook University Hospital, Middlesbrough, UK. She is continuing her research in age related macular degeneration at the Translational Inflammation Research Centre at the University of Birmingham, UK. She has published several articles in various international journals. Research interest: Age related macular degeneration, Diabetic eye disease.